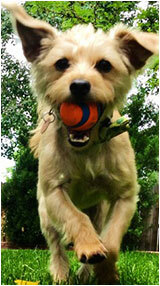 Introducing Punch Gingo, a too-cute-for-his-own-good 3 year old Terrier mix. Caretaker Nikki says Punch enjoys all aspects of Louisville, especially the dog parks, pet friendly events and, of course, the people. Also referred to as the National Fuel Company Store, the building was constructed in 1905 by town doctor and real estate developer, Charles Wolfer. The National Fuel Company was one of the largest mining concerns in Louisville. 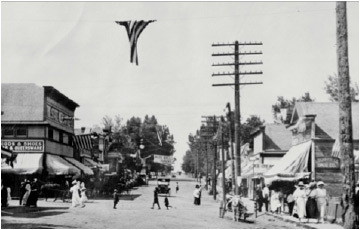 For many residents, it was known as the Carveth Bros. & Dalby store. Colorado farms and orchards bring fresh, local vegetables and fruits, breads, gluten free breads and baked goods, meats, salsas coffee, to-go food and much more. Live music weekly. Bring the kids, bring the dogs. Happy Mother’s Day to all the fantastic, giving, loving, caring, enduring, encouraging, supportive, cheerful, nurturing, advocating, entertaining and exhausted Louisville moms (and all the other mothers everywhere else too)! 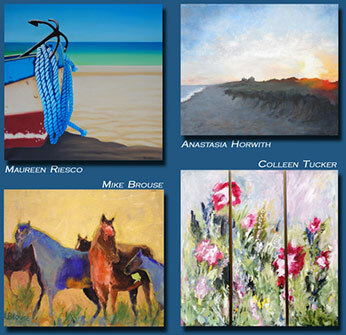 This Art Walk reception kicks off a two-month dynamic Art Show featuring the works of Maureen Riesco, Anastasia Horwith, Mike Brouse and Colleen Tucker. Enjoy fine wine and hors d-oeuvres while visiting with the artists and listening to live music. The show is free and open to the public and will feature the work of many of the finest photographers. The show opens at 10:00 am May 30 and will include a week of ceremonies and receptions, demonstrations and the Senior Tea. For more information visit the website at www.louisvilleart.org. 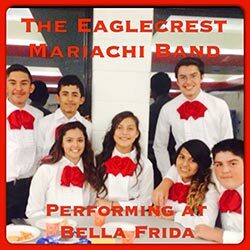 Join the Cinco de Mayo celebration and experience the music of Annie Savage and the Eaglecrest Mariachi Band. This Mariachi band is composed of kids from Denver and this is their first time performing in Boulder County. And don’t forget to check out all the fun Mexican folk art including lots of new beautiful hand embroidered blouses! Refreshments generously provided by La Revolucion. Enjoy live music by some of Boulder County’s Young Musicians while talented young artists paint on canvas to these performances. Also featuring the Flatiron Contemporary Women’s Chorale, auction of paintings and live music performed by teachers and professional musicians from sponsoring music studios. The event is sponsored by the Louisville Arts District, Dana V. Music, Whole Body Singing, Revell Music and Creative Framing. Swoon Jewelry Studios is celebrating Mom just in time for Mother’s Day. Specials each day and a little gift with purchase. 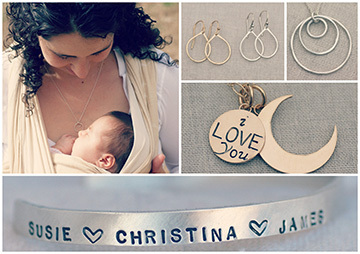 All custom name jewelry is 20% off and available for Mother’s Day pickup! 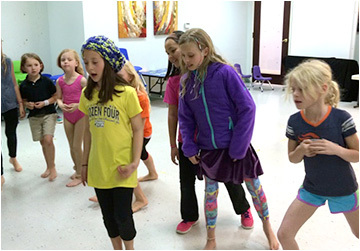 The Art Underground’s youngest theater group, K-4 will be performing this delightful Disney feline adventure with plenty of upbeat group numbers and an alley cast of thousands. Tickets are $4 and available at the TAU office or the box office at the school. The Deep Blue, LLC wants to welcome you with the first free “Transformation 101” workshop. Each monthly workshop will be a lively exploration of the dynamics and elements in transformation. The month of May focuses on the theme of “freedom,” helping awaken your creative potential for the coming Summer. These workshops are open to anyone 18 and older with an interest in learning in a dynamic group setting. Space is limited, registration required. Shower Mom with love this month and take 15 percent off any yoga package, workshop or retail. Plus for the month of May, Yoga Junction is offering $15 off any yoga mat purchase. Come into the studio for your savings! Bloom Jewelry is launching their line during a reception and trunk show at Eleanor. Based in Denver, Bloom Jewelry is handmade and beautifully crafted. Be sure and check out their newest pieces for perfect gifts for Mother’s Day. 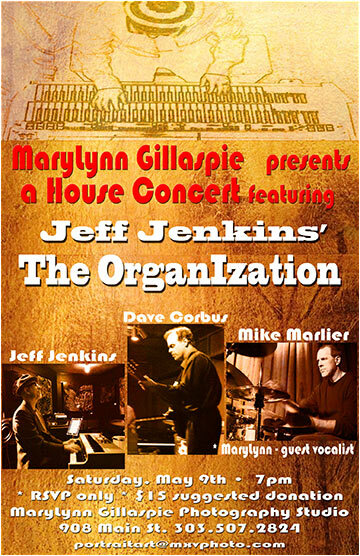 The 6th House Concert will feature Jeff Jenkins’ The Organization, with Jeff Jenkins on organ, Dave Corbis on guitar, Mike Marlier on drums, and the great vocals of MaryLynn. Seating is limited so early reservations are encouraged. 303-477-3730. Small Business Basics: A Marketing Training Series for your best Small Business Saturday Ever! The 5th Annual Small Business Saturday will be here before you know it. Sign up today for Small Business Basics, a marketing and business training series designed just for small business owners in the Boulder County area. You’ll come away with tools and strategies to spread the word about your business and get more customers to #ShopSmall at your place this November. For session dates and more information, go to marketingjava.com/sbb or email caitlin@marketingjava.com. Dr. Biggs is offering a free workshop on what upper cross syndrome actually is, the benefit of having muscle balance and at home exercises to help strengthen/stretch the muscles of the arms, chest, shoulders and neck. Maximize your output and decrease your risk of shoulder pain, neck pain, headaches and help promote your posture. Call 303-673-9797 to reserve your time. This free workshop will show you how to start and maintain a highly efficient backyard compost system. The workshop is taught by Melanie Burow, a Master Composter in Colorado. There will be a limited number of SoilSaver bins available for purchase at a cost of $55 each. Space is limited and registration is requested. Contact Boulder County at: bouldercountyrecycles.org or contact Bethany Hentkowski, BHentkowski@bouldercounty.org, 720-564-2226. Whether for yourself or a loved one, deepen your understanding of addictive behavior and how to address it. Presented by Boulder Psychological Services, Facilitators: Kat Ausrin, LAC; Caroline Roy, LCSW. ReferenceUSA accesses information on over 24 million businesses, 262 million consumers, new businesses, and homeowners for entrepreneurs, business marketing professionals, job seekers, and more. Join Kam Draper from ReferenceUSA to receive some in-depth training on what these tools can do for you and your business. This will be a fun, interactive community event featuring Monarch High School Senior Julia Falkner, one of five students chosen for the National Student Poets Program. 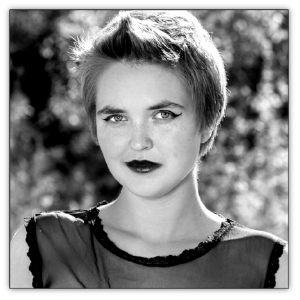 From 2:00 – 3:00 pm Julia will conduct a hands-on poetry workshop appropriate for beginners and experienced writers alike. From 3:30 – 4:30 pm, community members will have a chance for a five-minute reading of their own or a favorite author’s poetry. Sign-up is from 2:00 – 3:00 pm. Open to middle and high school students and adults. 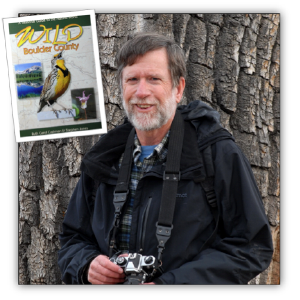 Presented by author Stephen Jones, this multimedia presentation, based on his book Wild Boulder County, highlights a half dozen of the most alluring wildflower and wildlife-watching trails in our area. Museum Coordinator Bridget Bacon will look at ways to find information about where your ancestors lived, the role of one’s childhood home in memoir writing, and what you should consider before knocking on the door of a home where you or your ancestors once lived. Anne Robinson reprises her tour covering the development of Louisville’s Main street. Suggested donation is $5 per person.